We have always been told to see our dentist every six months. The hope is that most, if not all people will follow this instruction. Some may think that going back to the dentist is not necessary; after all, why go to the dentist when there is no problem that bothers you? However, this is precisely the reason why it is important to visit your dentist regularly – to avoid having to face dental problems of a more severe nature in the future. Your dentist will be able to determine a lot about your oral health when you come in for your regular dental check-ups. 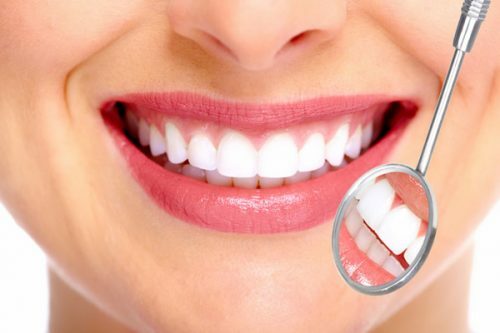 A thorough dental examination can help the dentist check if you have any dental or gum problems lurking inside your mouth – especially those that you might not have noticed have already begun. These problems can be prevented from becoming more serious with early detection. You can avoid a more expensive, and more uncomfortable treatment when the problem is detected in an early stage. Cleaning your teeth will also be included in the dental check-up, giving you a bright smile that you can be proud of. A complete teeth cleaning will also help you avoid bad breath problems; if you are already suffering from this problem, your dentist or hygienist can give you tips on how to deal with this issue. Your routine dental check-up will go a long way in your quest to maintain a beautiful smile that will stay healthy for years to come.